With RITA® 4.0 Röchling Engineering Plastics SE & Co. KG, Haren/Germany, is now offering a new, updated version of its proven tank calculation programme. The programme "RITA® 4.0 - Röchling's Integrated Tank building Assistant", which has been tested by TÜV Nord, calculates free standing, pressureless circular and rectangular tanks under consideration of the current DVS-standards. 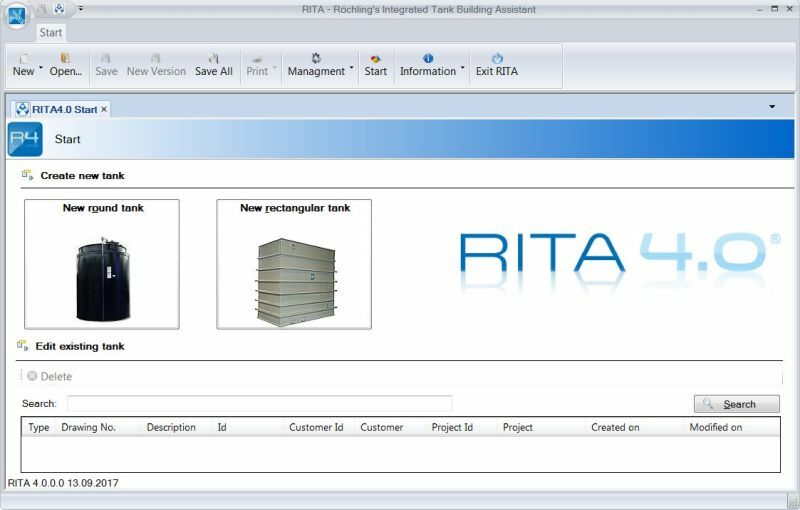 Now with several new functions, RITA® 4.0 facilitates the dimensioning of rectangular tanks and contributes significantly to planning safe and economic tanks. Anniversary news: 15 years ago Röchling first introduced its tank calculation programme RITA® – Röchling’s Integrated Tank building Assistant, developed along with TÜV NORD. Today tank builders from more than 30 countries rely on the market-proven programme for calculating and designing rectangular and round tanks made from thermoplastics, including customers in Australia, Japan, China, Israel and India. RITA® provides users with a pre-testable static printout containing all of the information needed for the approval of a tank. For the development of the new version, Röchling spoke with numerous users of the previous version all over the world and incorporated their experiences and suggestions into the revised version. RITA® 4.0 takes full account of the newest technological developments and requirements for the construction of thermoplastic tanks. The new version was reviewed by TÜV Nord, as were the previous versions. The awarding of TÜV's quality seal confirms the reliability of calculations made with RITA®. One of the main innovations of RITA® 4.0 is the optimized calculation of rectangular tanks with all-around and yoke reinforcement. This process uses an entirely new analytical calculation method: Röchling has developed a new formula apparatus based on numerous calculations with the help of the Finite Element Method (FEM). Thomas Schüer, Marketing & Development at Röchling and responsible for the area "chemical processing industry" has been overseeing RITA® for 10 years. He explains: "The newly developed formulas help builders to design their tanks in a more economical way, in particular because the new calculations allow for significantly smaller steel profiles." Rectangular tank planning has also been simplified by the new option of specifying the minimum wall thickness for specific types of tanks in the programme. RITA® 4.0 calculates the necessary steelwork for a given wall thickness. 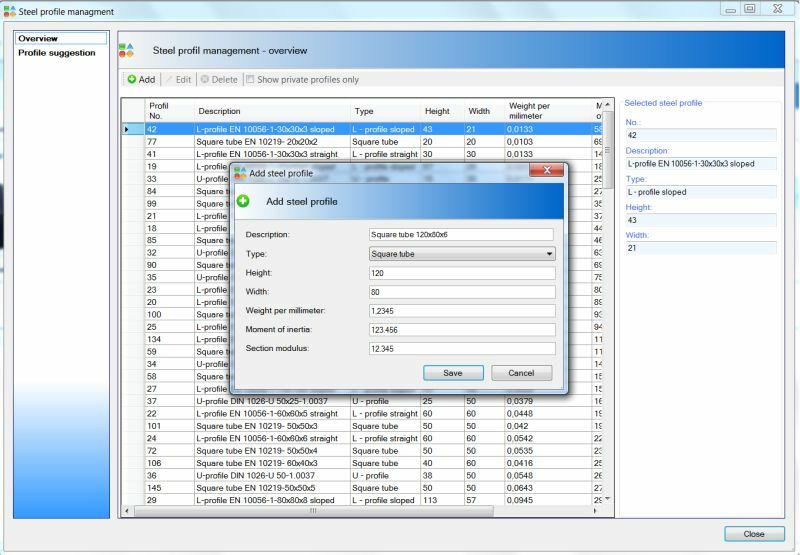 At the same time, users can use the new steel profile management tool to store individual profiles in the system and incorporate them into the calculation. "These functions help tank builders to plan rectangular tanks in a way that is more flexible and tailored to individual needs," explains Schüer. Changes to guideline DVS 2205 for round tanks. For the calculation of round tanks, RITA® 4.0 takes into account current changes to guideline DVS 2205. These include the current safety concept, calculation of the static load of a platform in roof superstructures and an optimised nozzle calculation that users can use to incorporate the wall thickness of the nozzle tube into the calculation in RITA® 4.0. 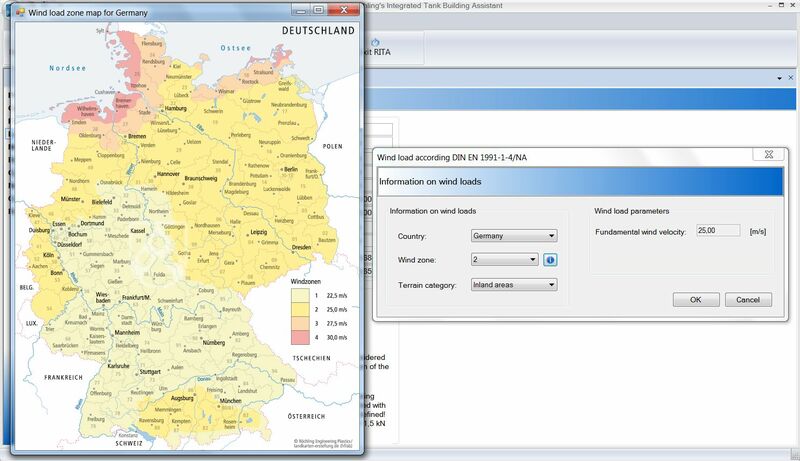 For the first time, interactive wind and snow load maps are available in RITA® 4.0 especially for the planning and design of outdoor tanks. On a map, users select the planned location of the tank and the corresponding wind and snow loads are factored into the calculation. Maps are available for numerous European countries, including Germany, France, the Netherlands and the Czech Republic. Additional innovations in RITA® 4.0 include a miner tool for calculating the average temperature in a tank, an expansion of the material database and optimisation of static printouts. "We want to make the calculation of thermoplastic round and rectangular tanks as easy as possible for our users," says Schüer of the new functions. In addition to high functionality, Röchling placed great importance on user experience in the programme's design. According to Schüer, "we offer our users standard free technical service via the team viewer. We do not charge maintenance fees. We are also happy to provide training sessions via webinars on request." Röchling has designed a very user-friendly license model. RITA® 4.0 comes standard-equipped with a multi-user license. "This means that several users can easily work with one license based on their location," explains Schüer. A free demo of the new version is available on request. RITA® 4.0 is available in German, English, French and Czech. The tank calculation programme RITA® 4.0 is part of Röchling's extensive offering for the construction of chemical tanks and plants. An international plastics processor, Röchling offers one of the largest range of products and services for chemical tank and plant construction, from sheet material, tubes, U-profiles and welding rods to the tank calculation software RITA and expert advice in selecting the proper material. Röchling has extensive databases and many years of experience in the chemical resistance of thermoplastics. We are happy to provide you with information on the new functions and advantages of RITA® 4.0.